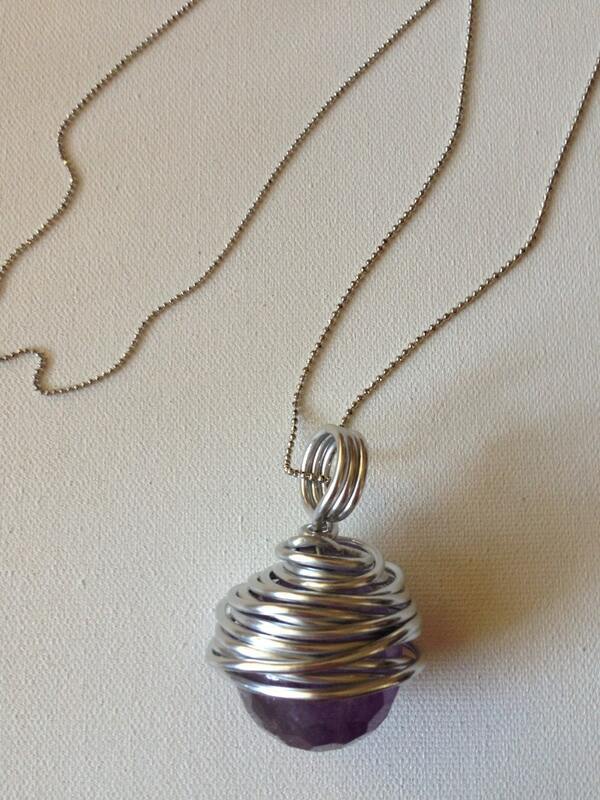 Pretty necklace for layering, can be mixed with other silver pieces. 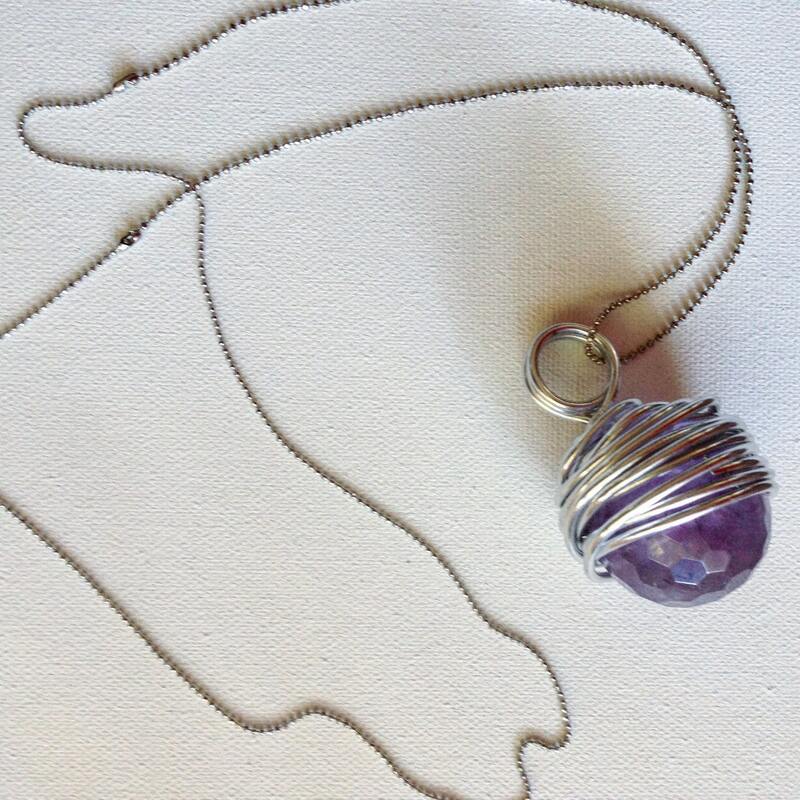 The stone is a round, faceted Amethyst, very pretty tone. 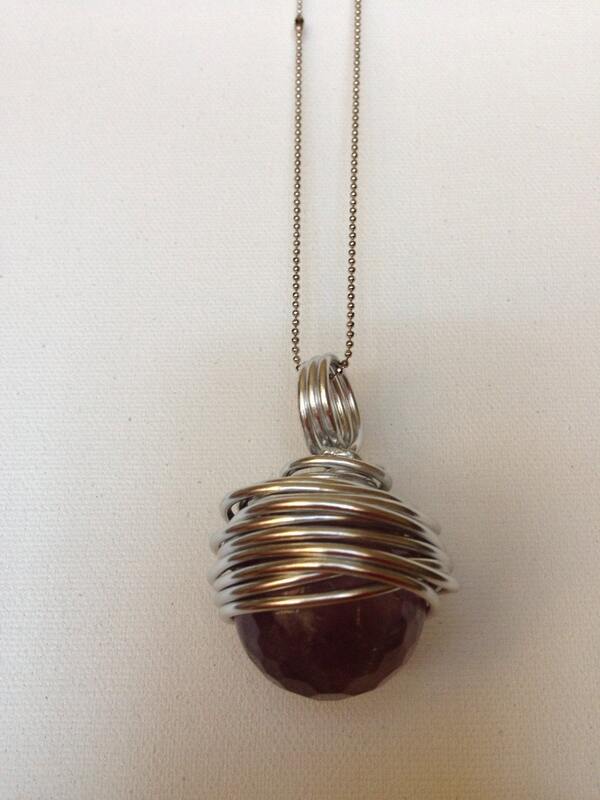 It's engulfed in wirework delicately wrapping it. The total length of this necklace including the stone charm is 12 1/2".